A Root Canal is the space inside the hard layers of each tooth. It is a tiny passageway that branch off from beneath the top of the tooth, coursing their way vertically downward until they reach the tip of the root. Root Canal Therapy is also called Endodontic Treatment, which is used to repair and save a tooth that is badly decayed or becomes infected instead of removing it. Many tooth problems involve infections that spread to the pulp, which is the inner chamber of the tooth containing blood vessels, nerves and other tissues. When the infection becomes worse, it can begin affecting the roots. A traumatic injury to a tooth can also compromise the pulp, leading to similar problems. An abscessed tooth is a tooth with an infection in the pulp. It can cause serious oral health problems if let untreated. The dentist will inject an anesthetic to numb the tooth affected. 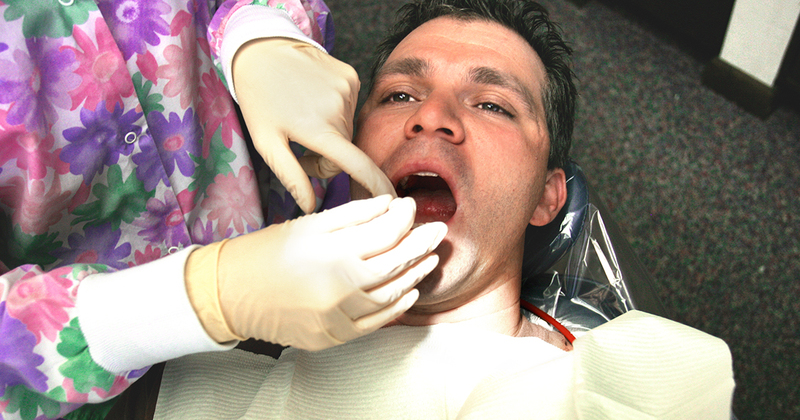 Tooth isolation by placing a rubber dam as a barrier to saliva contamination that contains bacteria and debris. Creating an access cavity where the dentists make an opening in the tooth to reach the canal system and the damaged pulp. Cleaning and shaping the root canal system with the use of very fine dental instruments. Filling and sealing of the canal. Filling can be temporary or permanent. What should I expect with my Root Canal? Root Canal Treatments may be done in 1 to 2 clinic visits. Most root canal therapies are successful but in rare cases a second root canal is needed, wherein the filling will be removed and tooth will be re-cleaned, re-shaped and re-filed. In some cases when a root canal therapy is not effective a surgery is resorted to. This is to check the end of the root for fractures, remove parts that could not be cleaned and to clear up the infection that did not heal during regular canal therapy. The Endodontic Dentists at Garden State Dental in Northern New Jersey are well trained in the service of Root Canal Therapy. Our practice is well equipped with advanced technology in serving this kind of dental procedure.